The 2012 UEFA European Football Championship, commonly referred to as Euro 2012, brought soccer fans from around the world to the event’s host cities in Poland and the Ukraine. Polish cities involved with the popular sporting event were: Warsaw, Gdansk, Poznan and Wroclaw. When not enjoying the day’s soccer action, here’s a guide to some sightseeing, dining, and hotel options you’ll find in each of these Polish cities. Royal Castle – Image by Renier A. 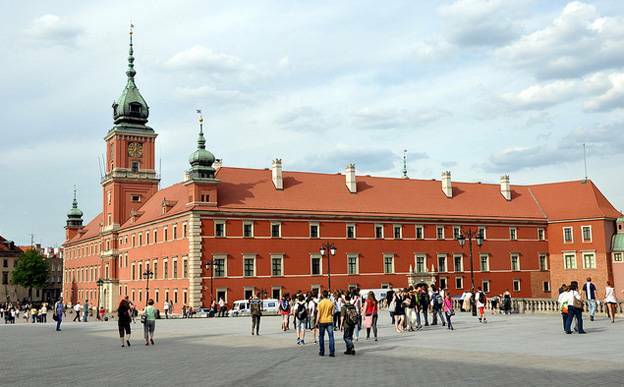 There is no shortage of things to do in Poland’s capital city. You’ll find a mix of modern and edgy events such as street fests and funky art shows when looking for things to do in Warsaw. To the other extreme, the city still embraces its classic music heritage with annual music festivals. The Warsaw Rising Museum is a mix of both worlds, with popular interactive exhibits combined with traditional exhibits. Attractions: Royal Castle, Palace of Culture and Science, Old Town, the Chopin Museum, the Royal Route, and several local palaces. Restaurants: Belvedere (contemporary), Fret a Porter (Polish and international cuisine), Boathouse (Italian), T.G.I. Fridays (American), and RestauracjaPolska (Central European cuisine). Accommodations: Castle Inn, Polonia Palace Hotel, Sheraton Warsaw Hotel, and Sofitel Victoria Warszawa. The first thing you’ll notice when you arrive here is that the city, located on the coast of the Baltic Sea, has different feel from any other city in Poland. As a port city, it almost has the feel of a New England city with a long association with the sea. Some of the city’s classic architecture survived attacks during World War II. The atmosphere today in Gdańsk is a combination of the best of historic and modern elements. Attractions: Royal Way, the largest brick Gothic church in the world, thriving Old Town district, Neptune Fountain, Golden House, and local museums. Restaurants: Velevetka (local cuisine), Gdanska (traditional), Metamorfoza (modern), and TargRybny (seafood). Accommodations: Hotel Podewils (amazing view of the river), Holland House Residence, Villa Pallas, Lival, and Grand Hostel Gdańsk. The capital of Lower Silesia is characterized by over a hundred bridges and classic Gothic and Baroque architecture. You definitely feel a sense of history when visiting this city. This is not to say that there isn’t plenty of things to do in Wroclaw. Aside from a sprawling cultural district, the city has offers no shortage of entertainment options ideal for soccer fans. 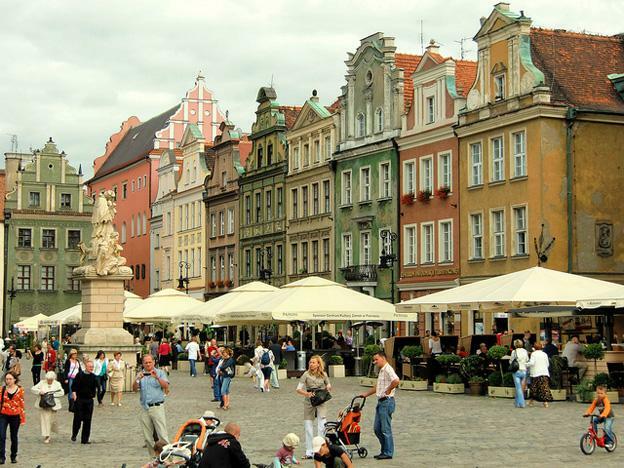 If you want to enjoy some local shopping and sample local cuisine, a stop in the city’s famed market square is a must. 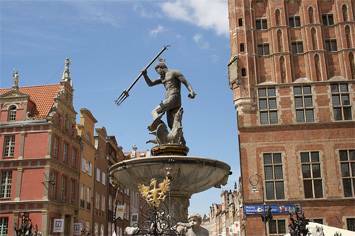 Located on the Odra River, Wroclaw remains a thriving center of education, historic architecture, and culture. 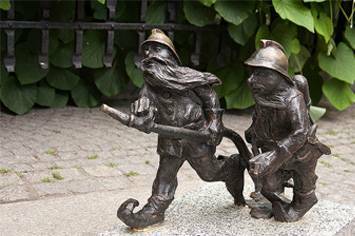 Attractions: Gnomes, St. Mary Magdalene Church, The Anonymous Pedestrians (bronze statue), People’s Hall, Dwarf Tour (walking tours available, refers to statues of dwarfs found around town), and Centennial Hall &Szczytnicki Park. Restaurants: Bernard (bar/restaurant), RestauracjaPrzystan (Mediterranean), MOSAIQ Restaurant & Wine Lounge (Central European, a more romantic setting), KurnaChata (traditional Polish cuisine, open late), and RetaurantjaDka (international cuisine). Accommodations: Hostel Mleczarnia, Art Hotel (modern hotel, perfect for short stays), The Granary – La Suite Hotel, PURO Hotel (centrally located), and Monopol Hotel. A city with plenty of activity to rival even New York City. There’s plenty to do day and night here. During the day, the city embraces its Old World charm. At night, the city is alive with energetic clubs, bars, pubs, and restaurants catering to a younger crowd. The city is also a big attraction for business travelers, but also attracts a huge student population – many of whom are likely to be big soccer fans. The countryside offers a quieter side of the city for those looking for something a little more relaxing while staying here. Attractions: Historical Museum of Poznan, Old Market Square, Cathedral of St. Peter and St. Paul, Malta Lake (a perfect place to take a break from the soccer action), Rogalin (a scenic palace), and Park Cytadela. Restaurants: Warung Bali (Indonesian), Ratuszova (traditional Polish), Blow Up Hall 50 50 (cutting edge, trendy), Hugo (modern), and Tapas Bar. Hotels: Brovaria (includes a bar and restaurant), Hotel Brovaria (centrally located and affordable), IBB Hotel Andersia (ranked the Traver’s Choice winner for 2012), Hotel Wloski, Don Prestige Residence, City Park Hotel & Residence (trendy), and Mercure Poznan. Euro 2012 took place from the 8th of June through the 1st of July. The event spanned eight venues in the eight host cities in Poland and the Ukraine. There’s clearly plenty of things to do in the main Polish cities with or without football. Linda the author of the Hotels-Fairy guide to Poland, reports for USA News Brief on all the latest topics for US travelers.